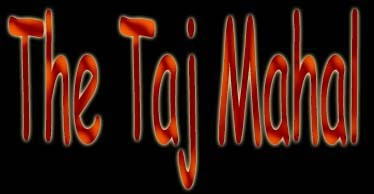 The Taj Mahal incorporates and expands on many design traditions, particularly Islamic, Persian, Hindu and earlier Mughal architecture. 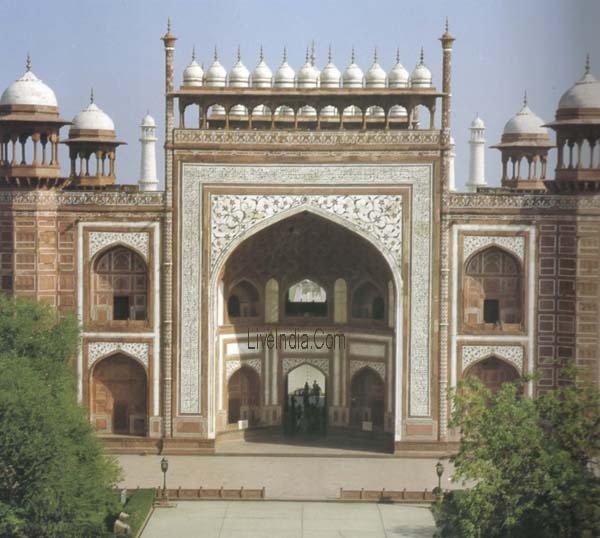 The overall design derived inspiration from a number of successful Timurid and Mughal buildings: these include the Gur-e Amir, Humayun's Tomb, Itmad-Ud-Daulah's Tomb (sometimes called the Baby Taj), and his own Jama Masjid. 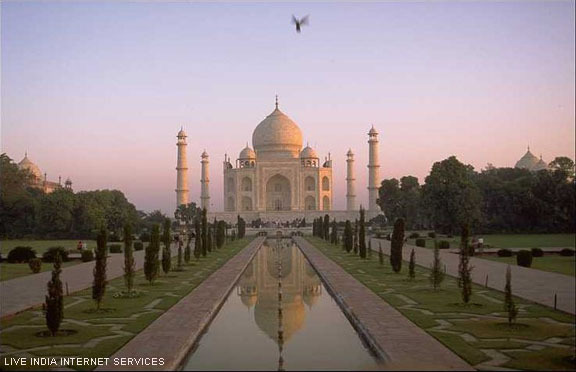 Under Shah Jahan's patronage, Mughal building reached new levels of refinement:, previous Mughal building had primarily been constructed of red sandstone; Shah Jahan promoted the use of white marble inlaid with semi-precious stones. 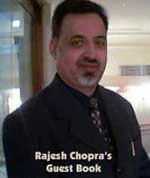 PHOTOGRAPH BY : RAJESH CHOPRA. 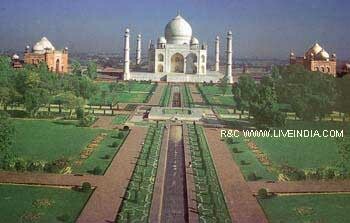 The Taj Mahal complex is bounded by a crenellated red sandstone wall on three sides. The river-facing side is unwalled. 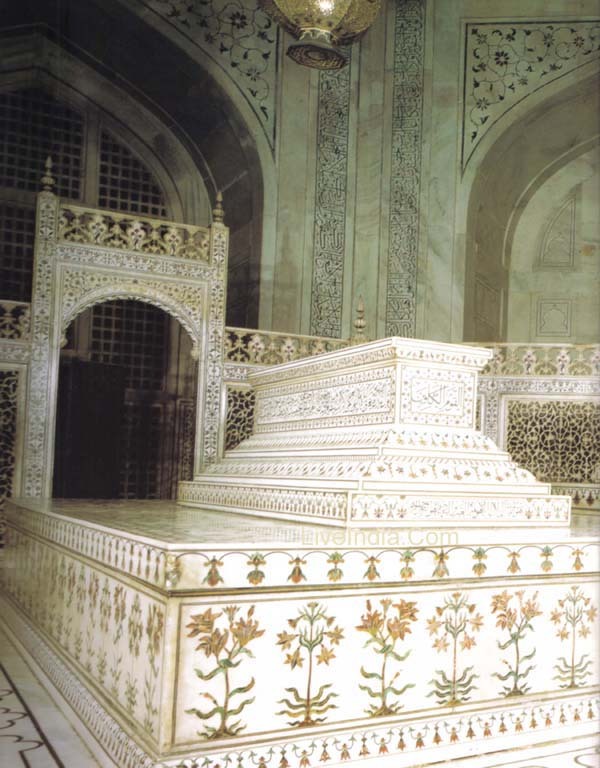 Outside the wall are several additional mausoleums, including those of many of Shah Jahan's other wives, and a larger tomb for Mumtaz's favourite servant. These structures, composed primarily of red sandstone, are typical of smaller Mughal tombs of the era. 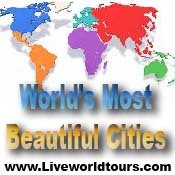 The main gateway (darwaza) is a monumental structure built primarily of red sandstone. 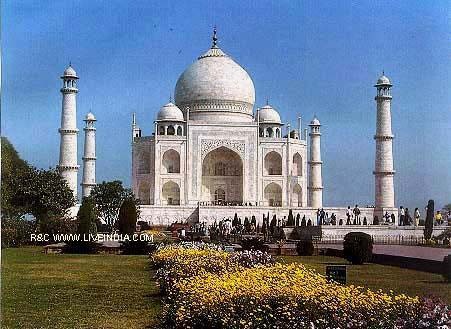 The style is reminiscent of that of Mughal architecture of earlier emperors. Its archways mirror the shape of the tomb's archways, and its pishtaq arches incorporate the calligraphy that decorates the tomb. It utilises bas-relief and pietra dura (inlaid) decorations with floral motifs. The vaulted ceilings and walls have elaborate geometric designs, like those found in the other sandstone buildings of the complex.